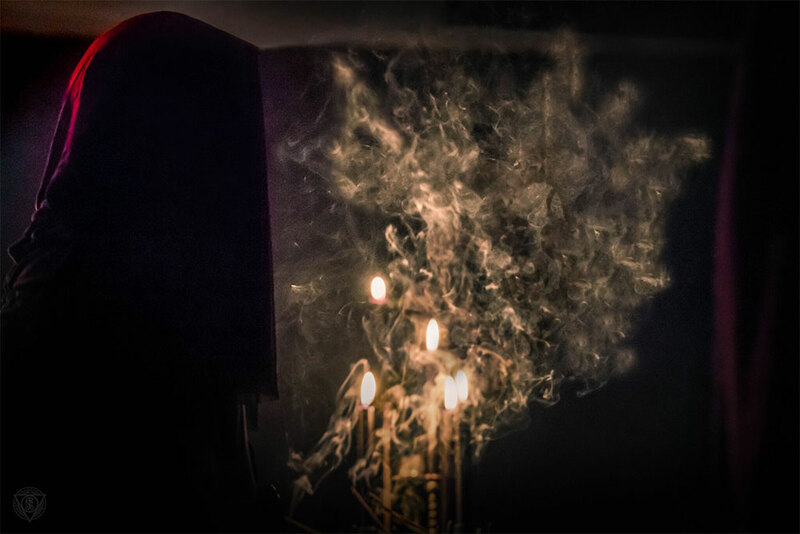 Artistic obsession and pursuits of perfection – a conversation with Irish musician and producer Stephen Lockhart from black metal band Rebirth of Nefast and Studio Emissary. – “Tabernaculum” is the result of obsession, there’s no other way of putting it. Perfectionism is fundamental to this work, as I feel it should be when dealing with something one is truly passionate about. It makes for a time-consuming and often soul-destroying process, but I feel the sacrifice is necessary. After nine years in the making, it’s difficult to know where to begin. Following almost a decade’s toiling, the 2017 debut album of Irishman Stephen Lockhart’s solo-project REBIRTH OF NEFAST has been part of a significant portion of his adult life. – Innumerable steps were taken along the way, some of which seem like distant memories while others are still too recent to speak of objectively. Needless to say, this makes it immensely personal to me. Having pushed every conceivable creative boundary as far as my current abilities allow, I view the album as perfection. Any other outcome would have been unacceptable. Stephen adds that to create something which transcends the self, the artist must be his own primary admirer and critic. And how to some, such concepts are likely to be viewed as preposterous. – This is the great divider; a desire to transcend mediocrity by creating something pure, as opposed to settling for the arbitrary and fleeting. That’s what this work is all about, drawing meaning from where there otherwise was none; ex nihilio. He says it’s not for him to say whether success was attained or not – what’s important is the underlying intention of creating high art, not just music. This leaves no room for uncertainty or self-doubt; if all art is indeed subjective, then perfection is by its very definition unattainable. – If, however, a set of objective criteria can be fulfilled, perfection is surely achievable within the context of one’s own motivations. The purity of any creative endeavour depends on the artist’s ability to stay true to what’s required of the piece as a whole, regardless of consequence. It means no compromise. And this in turn entails not willingly allowing your vision to be tainted by peripheral sources. Stephen believes that when constraints of time, finance, external pressure or influence begin to shape something intended to be immaculate, that’s when it ceases being pure and becomes a product of someone else’s will. – I see no purpose in the latter. Outside influence on a subconscious level is of course inescapable, but what you do with said inspiration is entirely a matter of choice – as is working at the expense of my own time, sanity and finances, with a label (Norma Evangelium Diaboli) that’s no stranger to the aforementioned concepts. There really is no excuse for anything less than perfection. Working continuously on an album for nine years could be regarded a luxury unafforded to most people. Not every musician is capable of handling almost every instrument by themselves and most have neither unlimited access to a professional recording studio nor the skills to operate it. – I don’t accept this level of artistic freedom as luxury. My skills and access to facilities are hard-earned, not a matter of chance. Reaching this point was absolutely a choice. Similarly, compromise is an active choice. Life is otherwise filled with compromise, so why should I make concessions with this? Having poured his very being into this work for the past nine years, Stephen says he has a strict approach to REBIRTH OF NEFAST. – This is no understatement, as anyone who knows first-hand the history of the album will attest to. After putting such a vast amount of energy into something, I need to be able to live with it, to be able to stand by it. This I can do with “Tabernaculum”. Regardless of reception, he’ll always be able to say that he gave this work his absolute all, without regret or compromise. – In time, of course, I will come to find faults here and there – as well I should unless I succumb to the dreaded stagnation. But I’ll be able to say, hand on heart, that at this moment in time there was no stone left unturned in realising my vision. Stephen mentions being aware that many readers will see his obsession and speaking in such grandiose terms of what to them is ‘just another black metal album’ as futile, even arrogant. – Thankfully, “Tabernaculum” was not created for passive observers, so for this I offer no apologies. I’m assured of my work and I don’t expect or require anyone to share my sentiments. It’s that simple. This assurance exists purely because of my investment in the creative process. I wouldn’t feel the same way had this album been rushed. Hence, I’ll continue with the same conviction as always. If that means taking two, nine, or twenty years to make another record to the same level of satisfaction, so be it. With all this talk of artistic intent, Stephen feels he should clarify how psychotic levels of perfectionism aside – real-life logistics played no small part in delaying the album. – Though it was nine years of extensive refinement and without compromise, it wasn’t nine years of uninterrupted work. In truth, a combination of elements played a large role. In 2008, the same year “Ex Nihilio” (split album with SLIDHR) was released, I also moved to Iceland. Stephen first set foot on the small Scandinavian island nation in the year 2007, as part of a work exchange program. – I was studying Agricultural Science, majoring in Forestry. The irony of course being that Iceland isn’t exactly famed for its abundance of forests. I returned to Ireland briefly to finish my studies before moving here full time in 2008. I’d have to assume this means you like it there? – Though easy to take for granted at times, I still find it a remarkable place to live. I’m grateful to reside somewhere unburdened by the day-to-day problems found in just about every other country that comes to mind. Crime, he reports, is all but non-existent – the air is clean, and the population below 350 000. – You can live twenty minutes from the city centre and still be in the countryside, the list goes on… the quality of life in general is just higher. There are downsides, absolutely, but on a global scale I’d lose sleep over none of them. Since first visiting in 2007, Stephen has been consistently active in the Icelandic black metal community. He describes watching it grow from a small handful of musicians and enthusiasts to the internationally renowned scene it is today. – Though I’d be reluctant to accept this ‘creator of the Icelandic sound’ accolade I often hear, I must acknowledge that I’ve played my part, having produced two of the most, if not ‘the’ most influential Icelandic black metal albums to date – SVARTIDAUÐI’s “Flesh Cathedral” and SINMARA‘s “Aphotic Womb”. It’s as an audio engineer Stephen makes his primary living these days, operating his own recording facility. – Since 2009, Studio Emissary has been responsible for a sizeable portion of the black metal releases produced in Iceland. If my work does indeed have ‘a sound’, then I’d have to attribute it to my early experiments with REBIRTH OF NEFAST. It was during this period I cultivated my production preferences, everything since has basically been a refinement thereof. He adds how the notion of studio work providing a sustainable income didn’t exist when he first started working with other bands. – Having learned that I’d recently bought a plethora of recording equipment, SVARTIDAUÐI asked if I’d be willing to record drums for some upcoming material. Eager to collaborate and experiment, I said yes. The sessions went well, everyone was pleased and the equipment would go on to be used on countless other releases. ”Tabernaculum” however, was not one of them. – Despite the equipment in question initially being purchased with the sole intention of being used for REBIRTH OF NEFAST. Most of it has since been substantially upgraded and was never used for what can be heard on the record today. Stephen points out how the Icelandic scene has now reached a pivotal point. – This year, SVARTIDAUÐI, SINMARA, MISÞYRMING, WORMLUST, ALMYRKI and ABOMINOR will all either release or record follow-up albums to the material which garnered them their initial success. 2017 should be an interesting year indeed! During the course of my interview research I came across a curious remark in a MetalIreland REBIRTH OF NEFAST interview by Andy Cunningham of MALTHUSIAN. The prime example of this would be a lot of second generation bands; once they had decent studio budgets, all of the feeling and atmosphere of their music went out the window when they had proper production. Which leads me to think that the atmosphere was in their rawness, not actually the content of their music. Is the power of production capable of inducing magic to the mediocre? – Most definitely – but at its core, an unexceptional composition will always be just that. It’s possible to present sub-par music favourably with the help of a fitting production, especially if the artistic intent is pure, but even that can wear thin after a time. Magic happens when quality content is combined with purpose and executed to its full potential. Stephen says there are still tendencies in black metal to mask objectively poor composition and musicianship with a harsh production. – Terms like noisy becomes ‘aggressive’, poor technique ‘chaotic’, and generally sounding as if you didn’t mix your music is ‘raw’ or best of all, ‘organic’. Even worse, many still seem to prefer this kind of approach by default, as if to honour some redundant sense of nostalgia. He declares an over-reliance on production not much better – referring to bands incapable of playing their own material competently and instead banking on a ‘fix it in the mix’ approach. – In these situations, often the only element working in a band’s favour is a well-produced record. Neither approach is ideal. What’s often overlooked, and actually of vital importance, is content. This cannot be overstated – it’s as much about what you play as it is how you play it. If you compose and perform your material on an acoustic guitar, does it still sound like black metal? Without playing sixteenth notes, does it still sound like black metal? What if you take away the blastbeats and double kick? Stephen says that black metal composed with what can only be described as an essential ‘darkness’, for want of a better term, should still retain this nocturnal essence whether played on an ukulele or through a ten-watt amp. 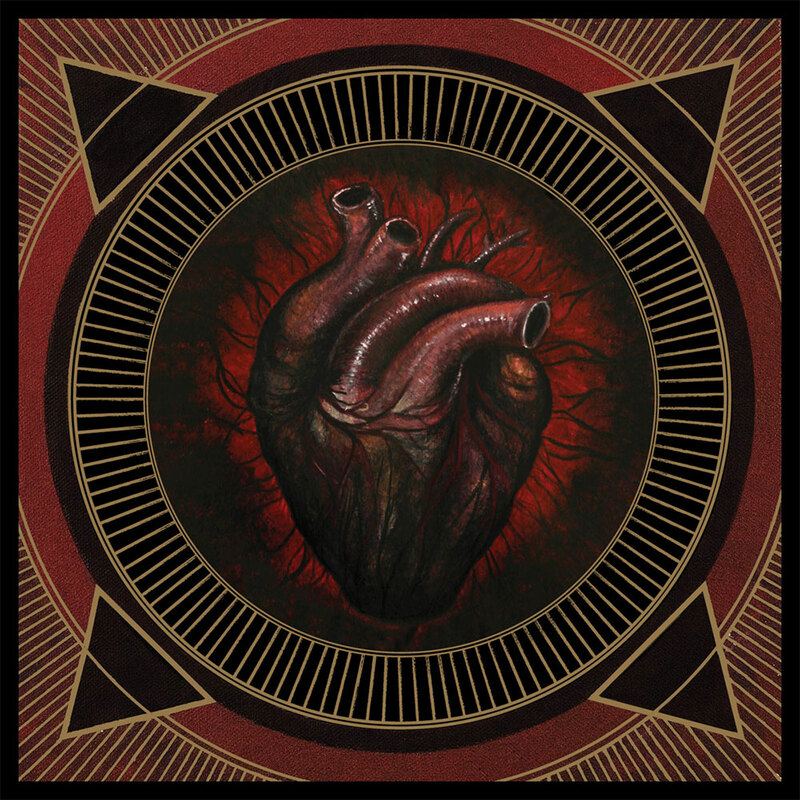 – Take a project like ELEND – without even a hint of conventional metal instrumentation or even the genre tag, “The Umbersun” carries an aura far more akin to what I interpret as black metal compared to many records actually presented as such. Bands who need to hide the fundamental aspects of their music behind production, or lack thereof, in order to sound convincing should reconsider why they participate in this genre to begin with. Each step of the creative process, he declares, must be executed with total conviction. – Every piece you compose, every performance – it all contributes to the final outcome. Therefore, is it not reasonable that each note and element should be heard as initially intended? Should instruments not serve their actual purpose? Production, he proclaims, should aid in bringing a project to its full potential – not act as a crutch. – A good album will still be good with a so-so production. But with a little push in the right direction, it can become something more than that. A record performed by masters of their craft, with true intent and conviction and a production that fully exposes every intricacy, is an infinitely purer offering than a fumbling teenager attempting rebellion with an eight-track recorder.